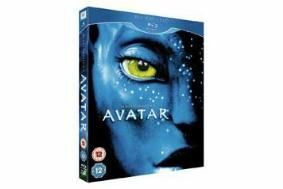 Panasonic to offer free copies of Avatar on Blu-ray in player promotion | What Hi-Fi? Panasonic has teamed up with Twentieth Century Fox Home Entertainment to offer an exclusive summer promotion: anyone who buys a Panasonic BD player will get Avatar on Blu-ray as part of the package. But that's not all. Apparently UK buyers will also be eligible for free copies of Minority Report and Fantastic Mr Fox on Blu-ray disc too. The triple-disc deal covers Panasonic's entire 2D range of Blu-ray players, but not the 3D-ready DMP-BDT300. Meanwhile, eager shoppers queued up at midnight at stores across the UK so they could be the first to get Avatar on Blu-ray or DVD. Tesco opened 180 of its stores at midnight to meet demand, and expects to sell 20,000 copies of the disc. HMV's flagship store in London's Oxford Street was transformed into Pandora (the planet inhabited by the Na'vi) and staff at the Asda store in Pudsey, West Yorkshire, have even been taught phrases in Na'vi – the language used by the film's blue-skinned heroes – to greet customers.